What’s Cheese Without a Plate? Here at That Cheese Plate we’re bringing you some of our favorite platters and boards to chose from. Round, rectangular, square, directly on the table with some wax paper — the choice is yours! Scroll down for some of our favorites. This is my favorite cheese board. My roommate gave it to me on my birthday, and I’ve used it for probably 80% of my cheese plates. Whenever I build a cheese plate using Cheese By Numbers, I like to build in clockwise order. With a round board, it’s easy for me to visualize where the items will go. Also, I love the little lip around the edge of the board, to ensure items won’t fall off. 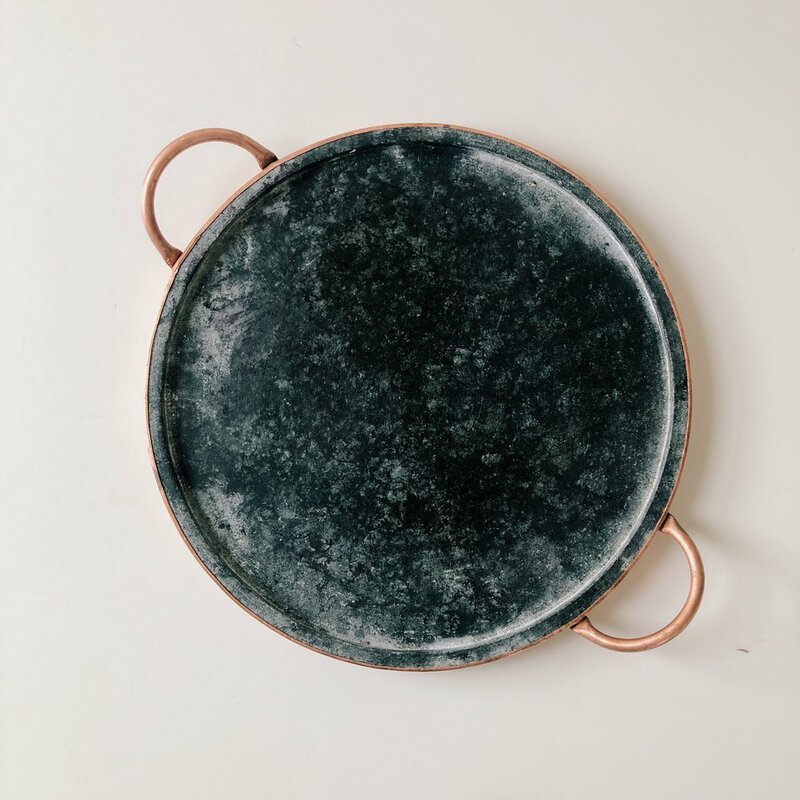 If you’ve ordered a cheese plate at a restaurant recently, it was most likely served to you on a slate board. Slate is sturdy, sleek and easy to clean. 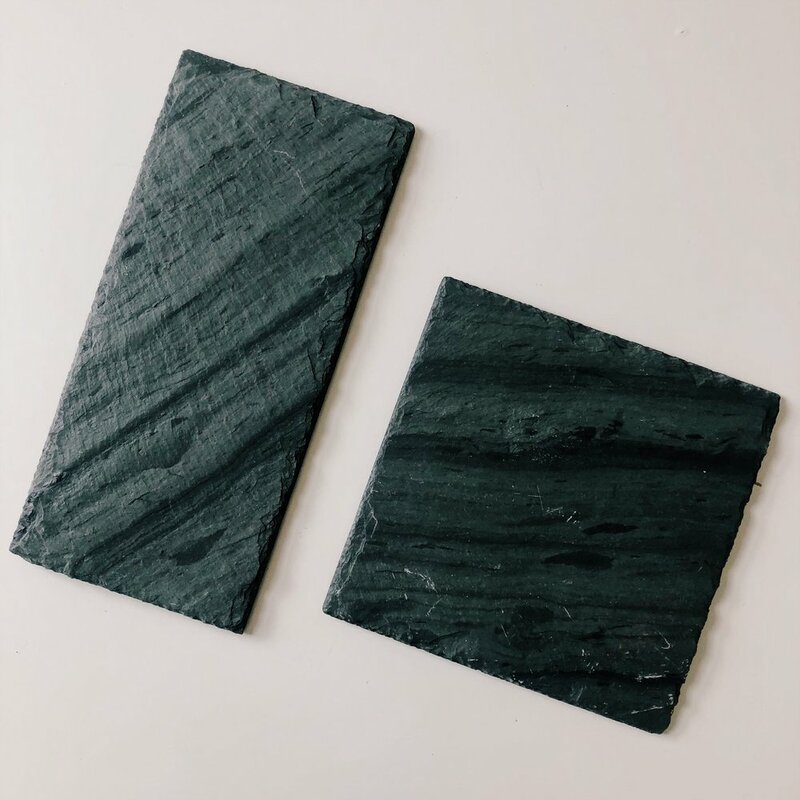 Use multiple slates to change it up on your tablescape! Dark or light, wooden boards are classy and versatile. I love using long rectangular boards for a spread down the center of a dining room table. Many wooden boards come with engraving options as well, which make for a great gift! 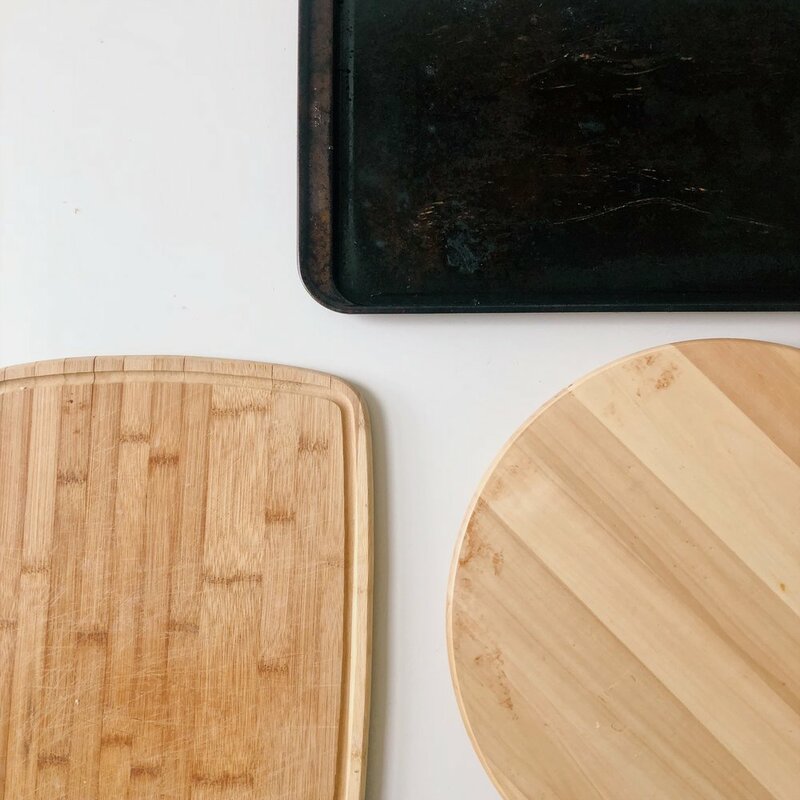 Be sure not to put your wooden board in the dishwasher, they don’t do well in excess heat. I love finding ways to use everyday kitchenware for cheese plates. It’s so simple to transform an old cookie tray or cutting board into a beautiful spread! Lazy Susans make fantastic plates as well, and you can rotate them around for easy access. You can also build a cheese plate directly on a flat surface covered with wax / butcher paper. The opportunities really are endless. 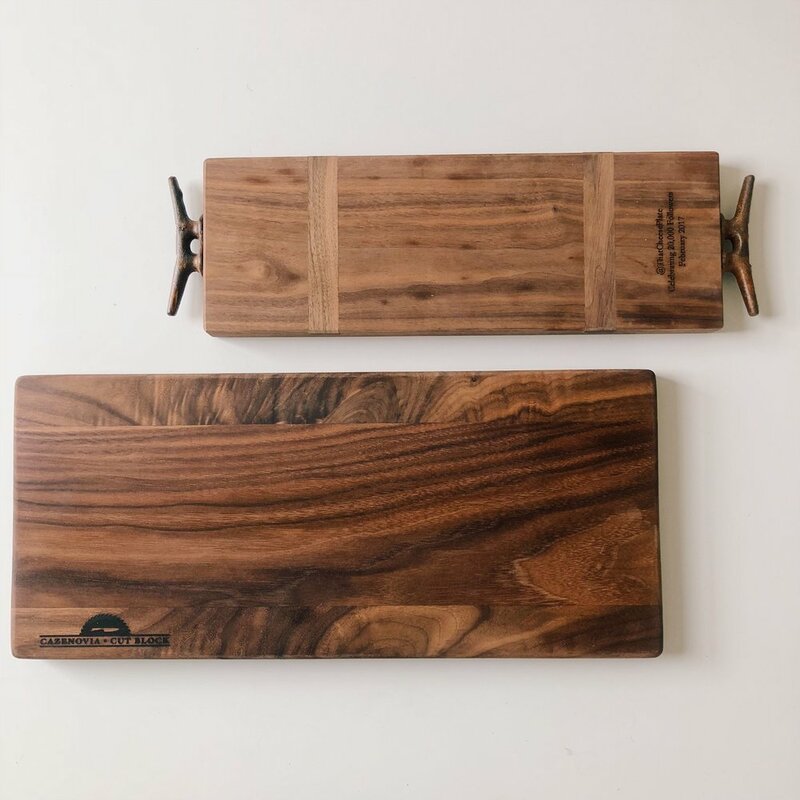 These boards are fun for on-the-go cheese plates. Cheese & knives all in one! The built in wire plate is great for cutting blocks of semi-soft and soft cheeses. The round board with knives included is perfect for an outdoor picnic! Do you have any favorite cheese boards? Anything we missed? Comment below! Happy Holidays!